MJS – Easy Guitar Tricks – Lead And Rhythm Guitar Techniques Used By The Pros! Learn to use the highly-guarded techniques of the guitar pros! Make each and every note count! Playing a note – or even a handful of notes – is one thing, but learning to give each note life, while making them sound tight, professional and desirable, is an important task to master. Using simple techniques that have taught thousands of eager students over the past 18 years, expert guitar instructor Mark John Sternal teaches you fun, useful guitar tricks quickly and easily. You’ll be amazed at how, after learning a few basic guitar tricks and techniques, you’ll never be at a loss when it comes to guitar playing – whether writing your own songs, playing cover tunes or improvising. 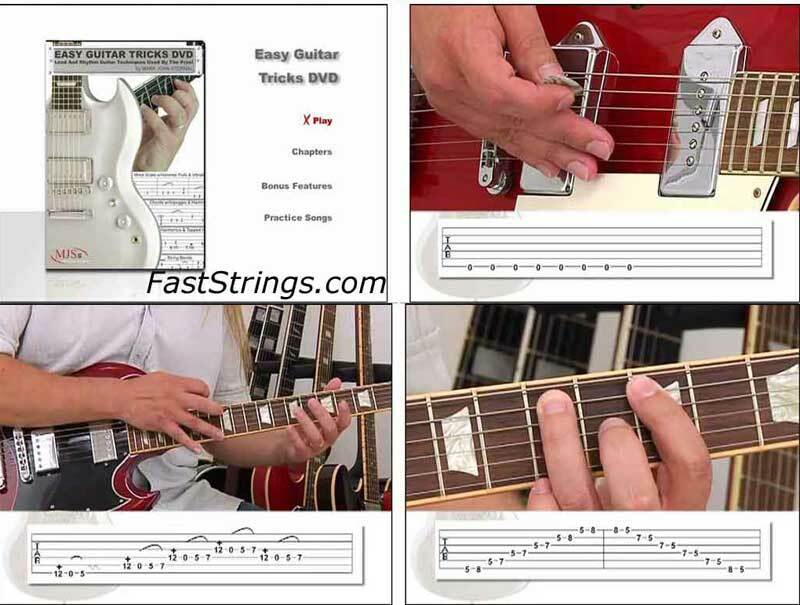 Easy Guitar Tricks DVD is cleverly designed with extremely simple exercises – starting with open strings and one-finger tricks that are very beginner friendly. At the end of Level 1, these easy tricks are put together into a song format that can be played first at a slow speed, then gradually increased for mastery. Please reactivate this upload link. Thank you! Please reupload this one. Thanks!